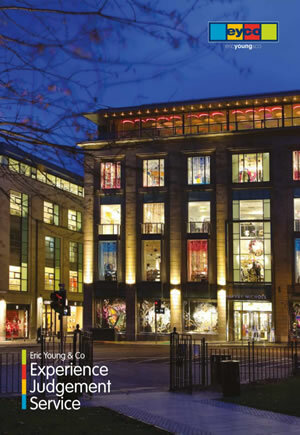 Eric Young & Co LLP (EYCO) is a leading provider of commercial real estate services based in Edinburgh, Scotland. As a business, we must take all reasonable steps to comply with data protection legislation. EYCO might update this Privacy Statement from time to time. When we have to do this the revised statement will be posted on this page, and where appropriate, by notification on our homepage. We rely upon a number of different legal bases for processing personal information and special category personal information – these include processing personal information where it is in our legitimate interests to do so, where this is necessary for the fulfilment of a contract or where the processing is necessary to carry out our obligations under employment law. Where we rely on our legitimate interests, this means that we use personal information to run our business and to provide the services we have been asked to provide. We only collect information that has been supplied voluntarily or is publicly available. You do not have to provide us with personal information. However, if you do not provide us with information we need by law or require to do work, we may not be able to offer certain products and services. We may use the personal information of clients, customers, tenants or other natural persons information you have supplied us with to carry out work such as property leasing, lease advisory, lease management, property acquisition or disposal or other related services on your behalf. We may use the contact information you supply to respond to your requests and instructions. We may use identification verification documents to meet with regulatory and legal requirements to verify who you are as a condition of providing EYCO services and products. We may use personal financial information to assess your eligibility for EYCO services. We may use personal information to provide you with marketing material about EYCO’s services or other client’s instructions that may be of interest to you. You can opt out of this at any time. EYCO employees who require it to perform their jobs. Third Party Organisations that support the products or services we provide to you. Anyone you give us permission to share it with e.g. counterparties to any transaction. We hold all personal information concerning our clients and contacts at our registered office address in Scotland and at off site UK locations as part of our secure IT strategy. We might transfer and store the information we collect from you outside the European Economic Area (EEA). When we do this we will aim to make sure the information is secure and properly protected. We commit to maintaining the deployment of appropriate security to protect personal information wherever it is located, and whether it is in electronic or manual form. To do this we may use a variety of mechanisms depending on where the information is stored and the relationship between EYCO and any recipient organisations. We will retain client files (and your personal information within them) for as long as required by law and for legal claims purposes. 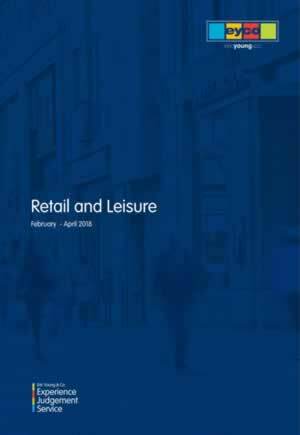 For professional services we retain client files in accordance with the requirements of our insurer which is currently 15 years after completion of the service contract except in relation to contracts relating to commercial properties where those files may be retained indefinitely. We use the information we collect from you to provide you with the information you may ask for, to manage our relationship and to use data analytics to improve our website and services. You can access the personal information we hold about you. To do so, please contact us by email at info@eyco.co.uk. There is no charge for us providing this information to you. If for any reason you do not want us to hold or use your information please contact us by email at info@eyco.co.uk. We may need to keep some of your information for legal and business reasons, for example to comply with a regulatory requirement. If you think the personal information we hold is wrong contact us at info@eyco.co.uk and we will check and correct it if necessary. We are committed to holding personal information that is accurate and current. Should you wish us to stop sending you marketing materials and/or contacting you, you can withdraw your consent by contacting us at info@eyco.co.uk. We do not utilise or carry out automated decisions which might have a legal effect on you or which might affect you significantly. If you have any other questions about your personal information please contact us by email at info@eyco.co.uk or call on 0131 226 2641.